STEM (Science, Technology, Engineering, and Math) Education and Fun, All Rolled Into One! A unique educational experience that gets students EXCITED about learning! Students will learn how the concepts of SCIENCE,TECHNOLOGY, ENGINEERING and MATH can be found in everyday experiences, even FUN experiences like ROLLER SKATING! Our professional STEM Educators teach visiting students about how STEM principles exist in just about every part of life. The lessons focus on hands on activities that are both educational and fun! Lessons are customized based on teachers needs to DIRECTLY RELATE back to classroom learning making this program completely unique! Following the completion of the 1hour STEM Lesson, the students roller skate for physical fitness. While Roller Skating the concepts students learned are continually reinforced. Our lessons are designed not only to help students overcome their fear of learning STEM concepts but to show how STEM is both FUN& EXCITING! 2 Hours of Physical Fitness through Roller Skating! I would like to learn more about the STEM program at All Skate. I teach a kindergarten classroom and right now we are doing a science unit called kindergarten in motion. There are several benefits of a good life. But can drugs help us? However, there are online drugstores that offer discount medicaments to patients who need them at low costs. Sure most popular is Sildenafil. A lot of customers think about read here. Hi Becky, Allskate Fun Center has just been granted the license to host STEM programs. We are in the process of hiring an educator and obtaining all the neccesary equipment and supplies. 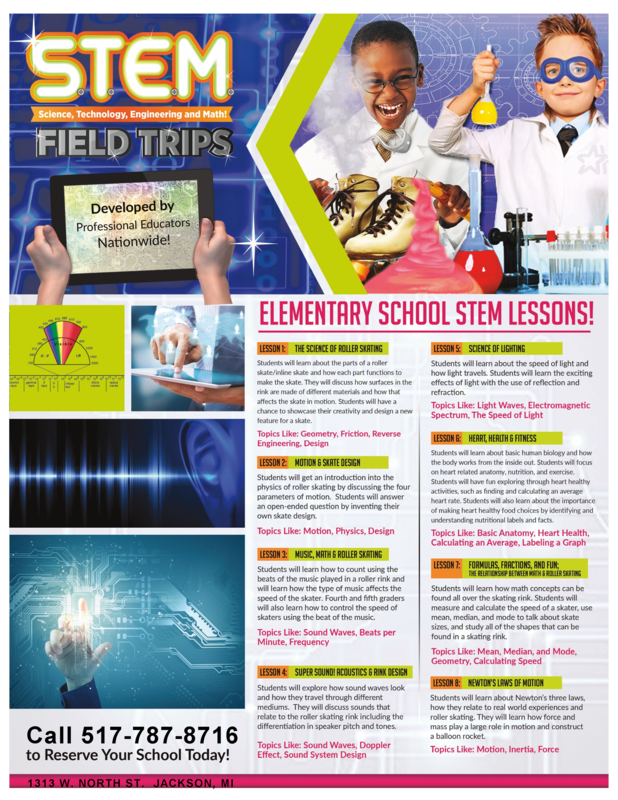 We should have all the details ready and able to schedule STEM field trips early in December. United Skates of America has a video that will explain and show you how the program will work at Allskate. You can view the video here: https://www.youtube.com/watch?v=iMihtQFv0Wg If you have any more questions you can call me at 517-787-8716.